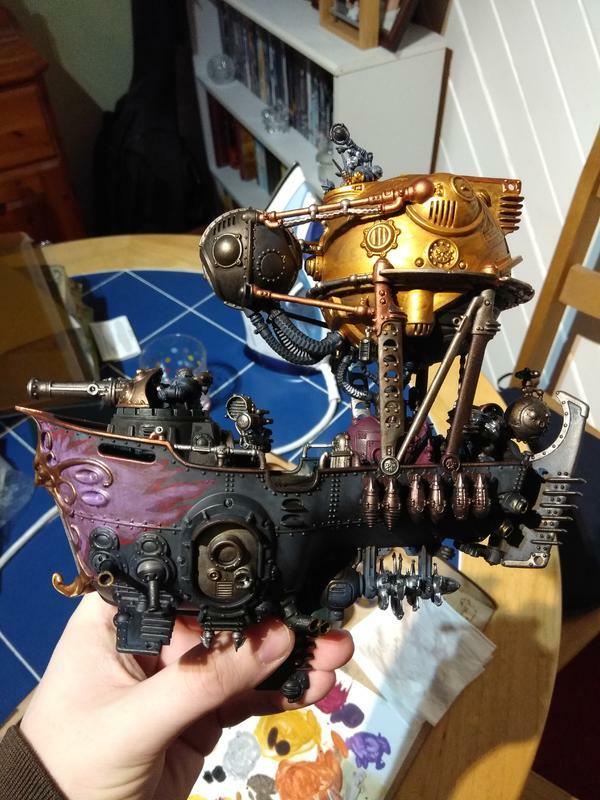 Slowly but surely my work on my shadow pirate kharadrons continues currently with my ironclad. Unfortunately my ironclad and frigates were bought fully assembled so are proving a bit of a pain to paint. But we're getting there at least. Almost done on this one, need to drybrush golden griffon to dull down the gold a little as golden griffon is paler and less bright. Then just crew and little details. Next entry The Ironclad Nears Completion! As a broke college student at least half of my models are second hand so I feel you on the painting troubles. I've seen a lot of people start KO armies lately, what's the hype about? They look great but from what I've heard there performance is pretty sub par and they ain't the cheapest to collect (I know money isn't an issue for some people but still) so what's been the big draw to them lately? 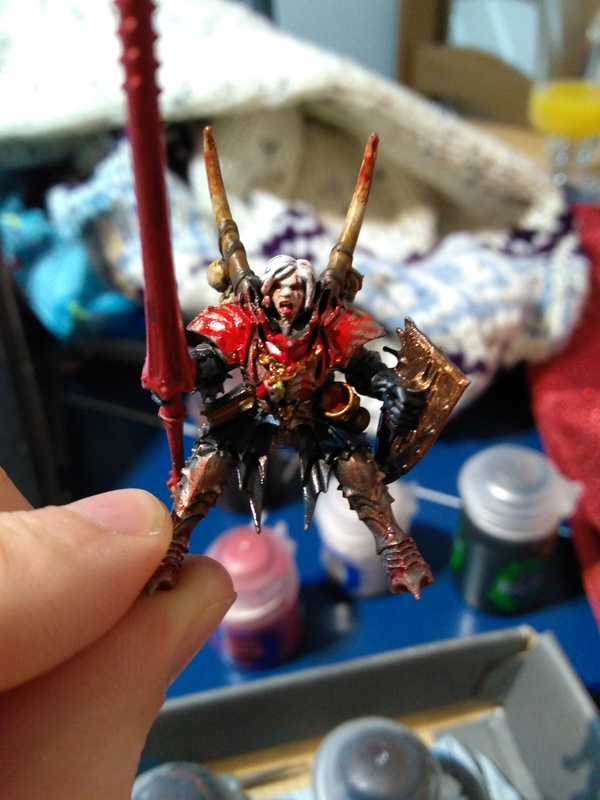 For me it started when i got the conversion idea for shadow pirates and my doppleganger cloak admiral kitbash. The project sounded so fun i had to do it! No clue about everyone else though. It's odd for what is a rather poor army to see a large surge but probably mostly comes down to aesthetic. They're such a unique and very AoS theme. But I'm not sure really I'm afraid! This looks awesome! I love that dark bronze. Well I hope GW shows them some love, it's such a missed opportunity to not push an army with this much creative potential. I look forward to seeing how this turns out for you.